Splendid Pets recommend dog muzzle sizes for the following dog breeds. Size 0 For Miniature Dachshunds, Miniature Poodles, Yorkshire Terriers. Size 1 For Jack Russell Terriers, Standard Dachshunds, West Highland Whites, Whippets. Size 2 For Beagles, Border Collies, Cocker Spaniels, Springer Spaniels, Standard Poodles. Size 3 For Dobermans, Shepherds, Labrador Retrievers, Setters, English & Staffordshire Bull Terriers. Size 5 For Bloodhounds, Great Danes, Great Pyrenees, St. Bernards, Wolfhounds. Size 7 For Bull Mastiffs, Rottweilers. Available in either Blossom Pink or Electric Blue. Helps stop biting, barking & chewing. Strong nylon fabric, lined for comfort. Fully adjustable strap with quick release buckle. Difficult for dogs to remove with their paws. 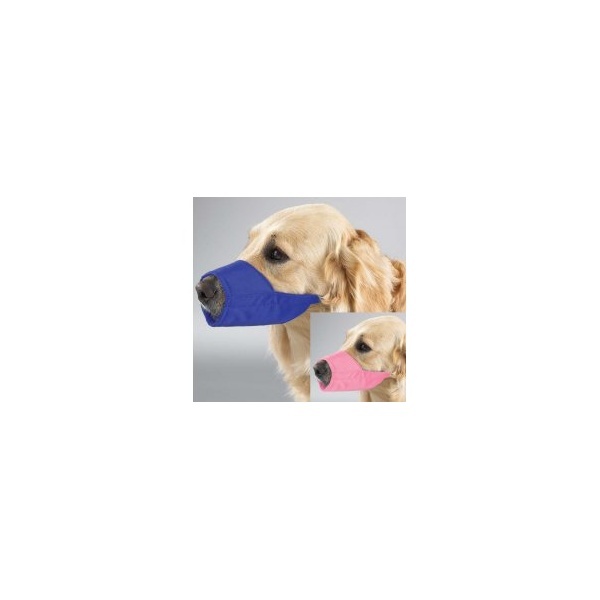 Dog Muzzle- for safety when working with biting and chewing dogs, our Guardian Gear® Lined Muzzles are the choice of top handlers, trainers and other professionals. With a fully adjustable strap and quick-release buckle, each muzzle is crafted in strong nylon fabric, lined with chafe-free inner seams for comfort. 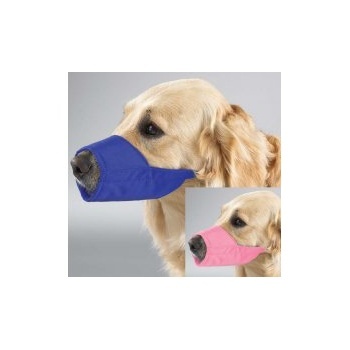 Muzzle stays in place on dogs or cats, but it’s a snap for people to remove and replace!